With it being March now and the 'Official' start of spring a mere week away, it's a good time to get some "spring cleaning" done. For me, this means getting literally *everything* in order, so that I feel organised and know what is going on! 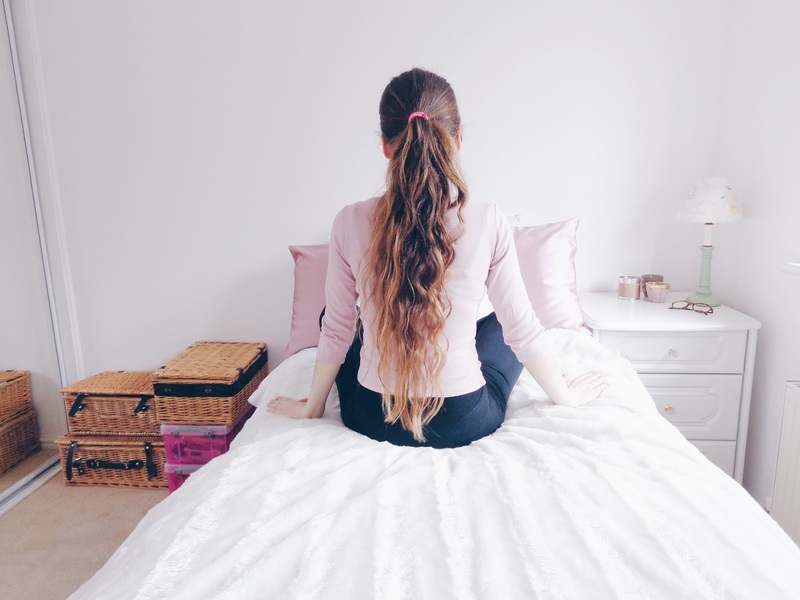 From tidying the house, making sure things have their designated spaces and also making plans for the coming weeks, it's the perfect time to organise your life and give everything and everywhere a general sprucing up now that the majority of the wintery weather is done and summer is around the corner (Wooo!). With that in mind, I'm going to show you what I have done this year to add a bit of interior Zen and balance the Feng Shui in my living space and hopefully you'll be able to take some hints and tips away from this and add them to your very own spring sprucing routine, however you decide to go about that! Okay, so I love making a room feel like it has a welcoming, appealing and kind of magical vibe to it. Creating such a space, which truly reflects that kind of feel takes a few things. Firstly, the room has to be tidy. You simply cannot create calm if there is loads of visual clutter or "noise" in your eye-line wherever you turn, it just doesn't work. You want to feel inspired or at least at ease in your space, so make it that way by adding something which draws the eye and is decorative, yet functional. 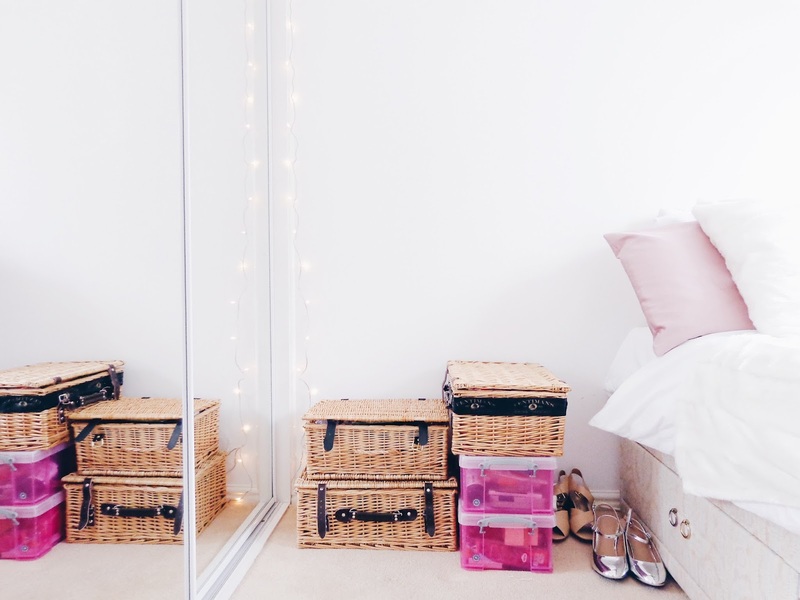 I have opted for fairy lights in my room because I really like how they look and around my mirror, they help to add an elegant, decorative accent and frame that space which I find pleasing. Plus I love feeling like I'm in a fairy house! Adding a few new cushions which all match as well as some nicely scented candles is another great way of adding some Danish 'Hygge' to your living space and making it look more cosy too. Win win! We all have one and you know what I'm talking about. It is the piece of furniture which has become the perfect place for 'stuff' to gather dust. Please, tidy it, it will really help with getting everywhere looking sharp, plus once you've successfully dealt with one bit of the messiness, it'll give you the necessary motivation to sort out the rest. With a new season comes new outfit options and with spring on the way, now's the time to put some of the heavy duffle coats to the bottom of the wardrobe and bring out the lighter denim jackets and light-weight coats. If you're really feeling inclined, you could colour organise everything but that might be a bit too organised, so just as long as you've got your seasonal clothes at the forefront of the wardrobe that's enough. Even though it's a place in the house that is used daily (if not every hour or so if you love tea or coffee!) it can be so easily overlooked when it comes to spring cleaning. It is true that when things look good, you feel good. If you have nice decorative, perhaps even antique silverwear that can add a touch of luxury, character and elegance to your home, then spring is a great time to have it taken care of to bring it back up to looking as beautiful as it possibly can. AC Silver has lots of different fancy silver wear you can choose from too if you are looking to add some to your home. You can shop AC Silver's range here. Tarnish can be prevented if you keep silverware in an airtight container and wrap each piece in acid free tissue paper. If you've owned silver jewellery and left it out on your dressing table or just in a jewellery box, you know how it goes when the air gets to it and it's exactly the same for silver homeware, so it's way more time efficient if it's stored correctly from the start so that you don't have to spend ages polishing it before use or display! Adding a few colour accents to the kitchen once it is really tidy is another great way of bringing it right up to date and also making it look a bit different without having to completely redecorate the whole room, which would be time consuming. 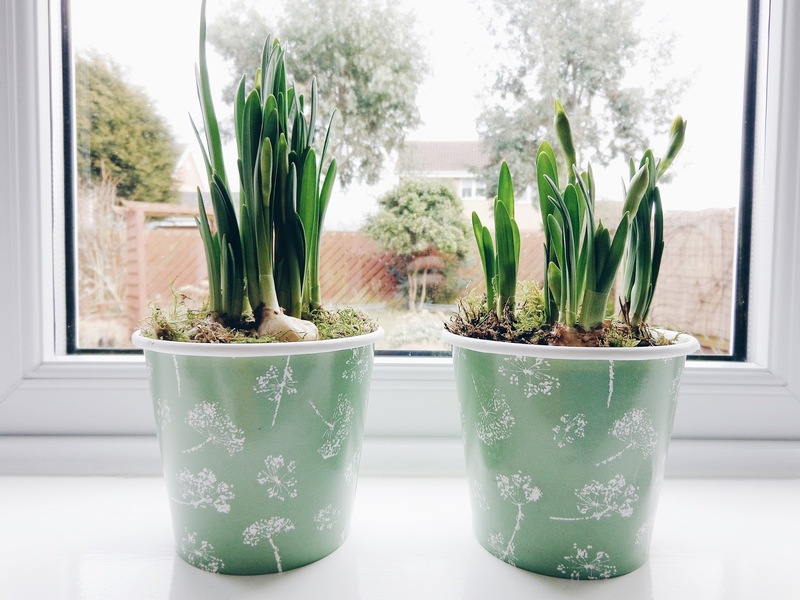 A flush of colour from some daffodils at this time of year is a lovely way of adding some sunshine inside your home, or a new set of mugs which all match, or some succulents or cacti along the windowsill would also make a fab addition! This blog post contains sponsored content from AC Silver. All views and opinions remain honest and my own.